Reflecting on works from 2015’s degree show at Central St Martins (MA and BA) it seems many of the artists have reflected upon the everyday in their practice. Stephen Johnstone (The Everyday 2008: 12) writes “the rise of the everyday in contemporary art is usually understood in terms of a desire to bring […] uneventful and overlooked aspects of lived experience into visibility.” Hence we will assess the ways in which these graduates look at areas of everyday life that do not normally gain attention. Jean-Paul Moreira has painted a selection of road signs, commonly seen in everyday travel. This ‘holy’ triptych consists a national speed limit sign, a roundabout sign and no through road sign. These might suggest the way his practice is going at different times, full steam ahead making, going round in circles or stuck for ideas in a dead end. Hence it reflects the everyday life of the artist, much as Maurice Blanchot (Everyday Speech 1962 in Johnstone 2008: 34) said “… the everyday is what we are first of all, and most often: at work, at leisure, awake, asleep, in the street, in private existence.” Moreira’s work also signals an interest in travel as in the psychogeographic experiments of the Situationist International, and the dérive (which translates as to drift). 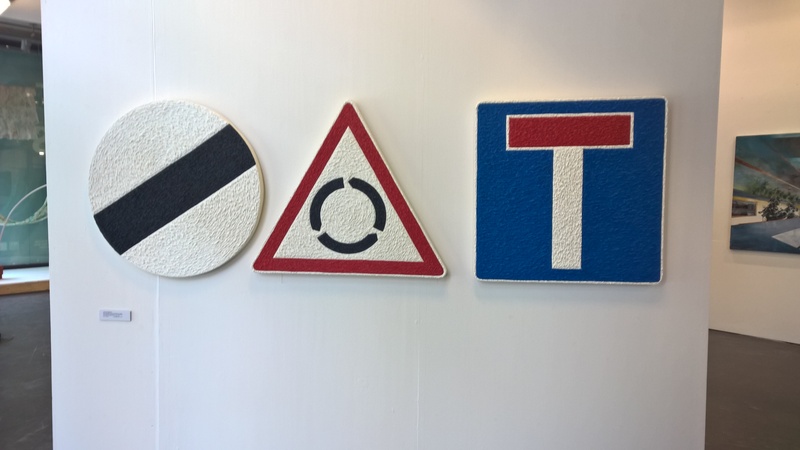 By extracting the road signs from the street and using their image in the gallery space we are asked to view them as aesthetic works over being communicative symbols. Magda Skupinska has used everyday foodstuffs as materials for painting and sculpture, referencing still life with a contemporary twist. 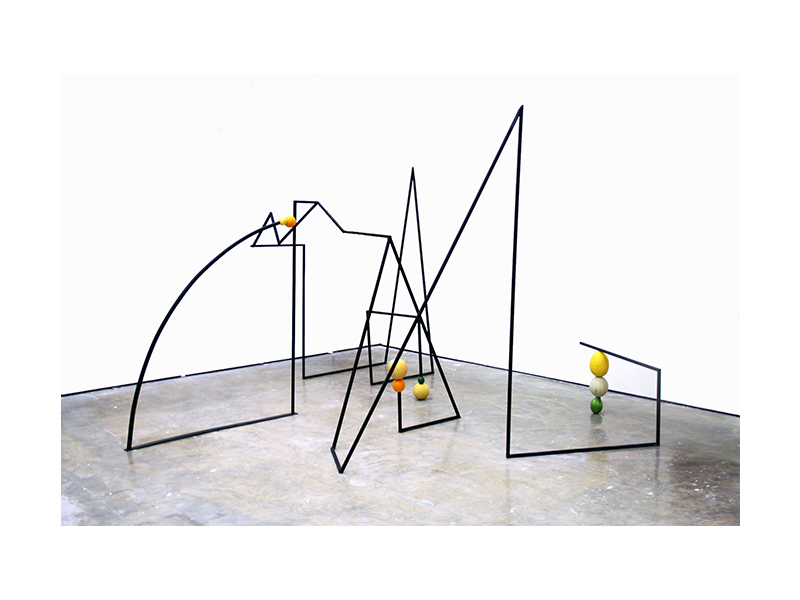 Juncture incorporates fruit into sculpture much like Jeehee Park did in 2014’s Slade MA show. Meanwhile her abstract paintings that seem to somewhat reference Color Field Painting in their textural contrast between unprepared rough canvas and impasto painted chilli, turmeric and chocolate, which could possibly indicate the contrast of Skupinska’s experience of life as an artist with that of cooking and eating.